PISCATAWAY, N.J., Dec. 21, 2018 /PRNewswire/ -- IEEE, the world's largest technical professional organization dedicated to advancing technology for the benefit of humanity, and Lockheed Martin, a global security and aerospace company, have signed an agreement to work together under the IEEE Corporate Partnership Program. As an IEEE Corporate Partner, Lockheed Martin will leverage the benefits of IEEE's global reach, technical expertise, authoritative technical information, and membership opportunities in support of its business focus areas. IEEE and Lockheed Martin will collaborate on identifying opportunities to develop new and expanded plans and programs. "IEEE is delighted to enter into this agreement with a technology-driven organization like Lockheed Martin. Lockheed Martin and IEEE share a commitment to advancing the state of the art in the fields of aerospace, artificial intelligence, space and security," said Stephen Welby, IEEE Executive Director, and Chief Operating Officer. "Lockheed Martin looks forward to partnering with IEEE on advancing the development of our technical workforce at this pivotal time of rapid technological change and digital transformation," said Lockheed Martin Chief Technology Officer Keoki Jackson. "Lockheed Martin shares IEEE's commitment to advancing critical new technology, and we're excited to see the mutual benefits our partnership will yield." 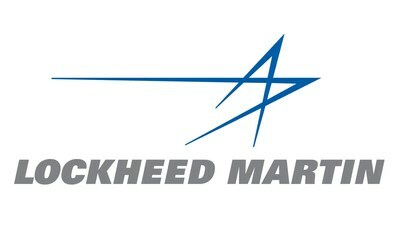 Headquartered in Bethesda, Maryland, Lockheed Martin is a global security and aerospace company that employs approximately 100,000 people worldwide and is principally engaged in the research, design, development, manufacture, integration, and sustainment of advanced technology systems, products, and services. This year the company received three Edison Awards for ground-breaking innovations in autonomy, satellite technology, and directed energy. Learn more at www.lockheedmartin.com.